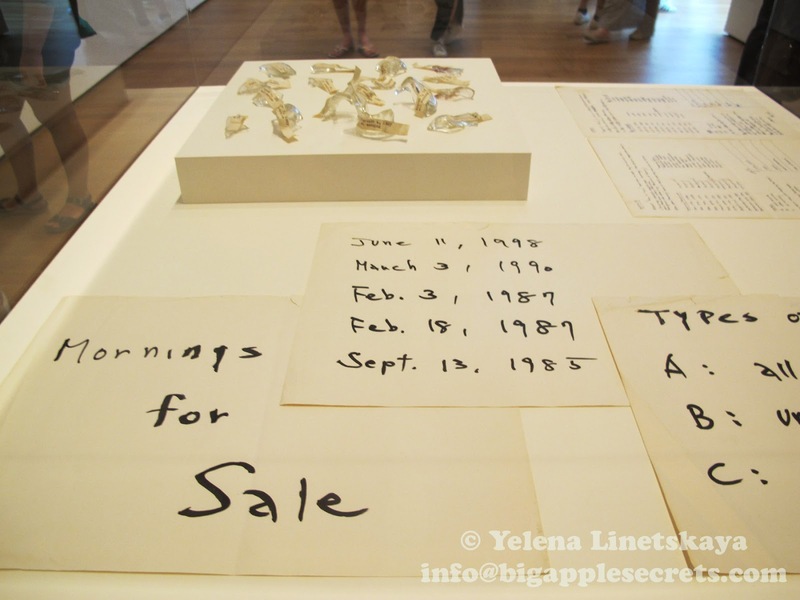 "Yoko Ono: One Woman Show, 1960-1971,” is open in one of Museum of Modern Art prestigious sixth-floor galleries, is a major event of the museum’s summer season. 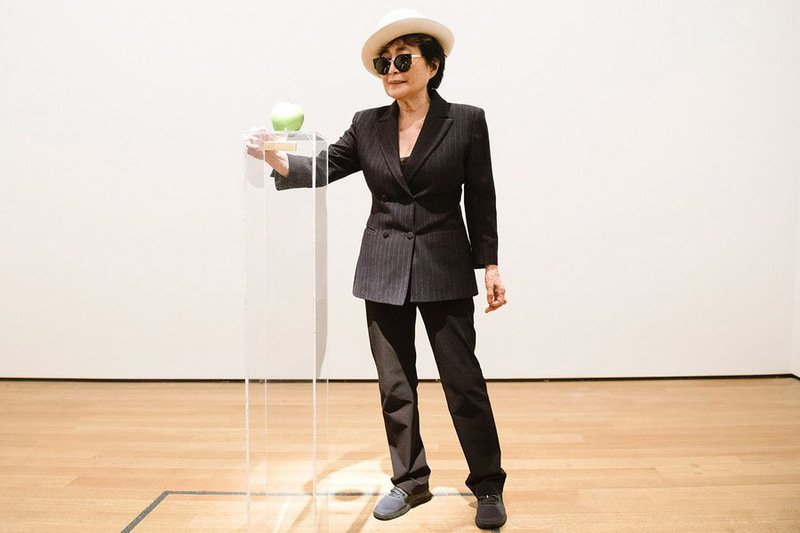 Forbes wrote : The first time Yoko Ono exhibited at the Museum of Modern Art, the museum tried to deny it. Administrators clipped out an exhibition announcement from The Village Voice and posted it in the ticket window, adding the words THIS IS NOT HERE in block letters. Philosophically they were right. 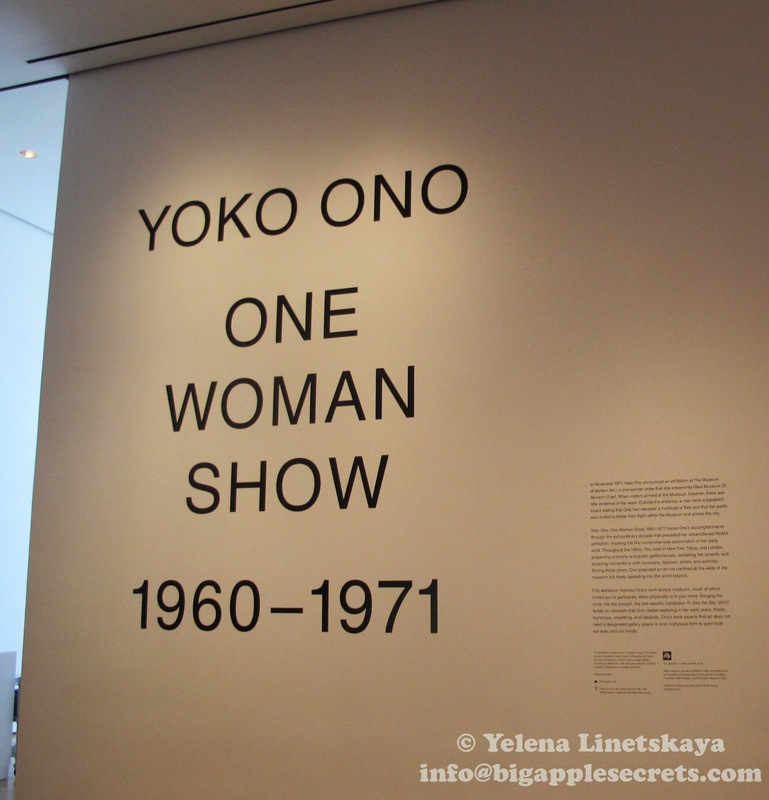 The substance of One Woman Show (as Ono dubbed it) was inside visitors’ minds. The 1971 show was totally unauthorized. 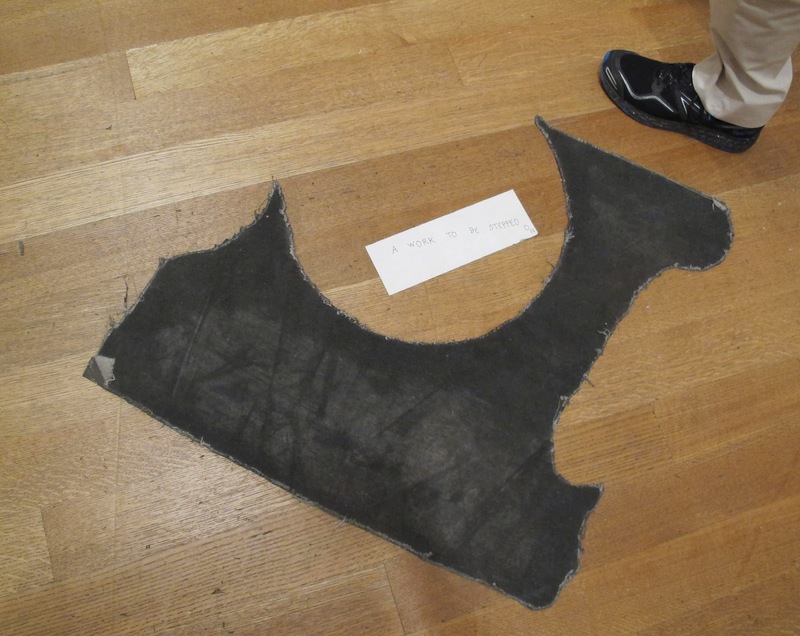 Ono placed her own ad in The Village Voice, and hired a man to stand in front of the museum with a sandwich board bearing her curatorial text. According to the sandwich board, Ono had doused thousands of flies in her preferred perfume – Ma Griffe – and released them in the museum’s sculpture garden. An exhibition catalogue – which could be purchased for a dollar by mail order – showed them spreading throughout the museum and into greater Manhattan. Or so it seemed. 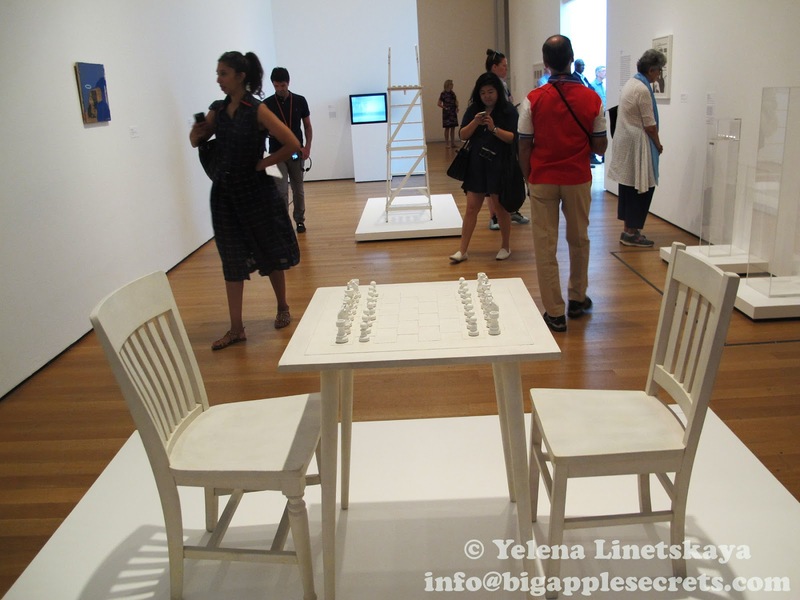 The catalogue contained photos of the museum galleries and city streets with arrows superimposed. Whether the arrows were actually pointing at anything was anyone’s guess. This time is different. 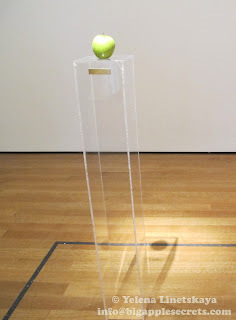 Forty-three years after Ono’s MoMA debut, a retrospective of Ono’s early years fills one of the museum’s sixth-floor galleries. One Woman Show (as MoMA calls it) is attracting blockbuster crowds. 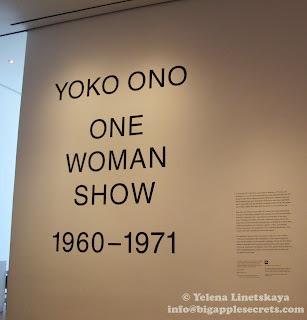 Vanity Fair wrote: "...Would MoMA have given Ono as lavish a show as this one if she hadn’t been a Beatle wife, and would it have been as crowded ? Probably not." And I agree. 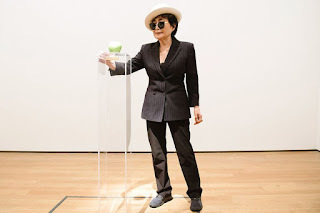 Ono grew up in Tokyo, studied at Gakushuin, and rejoined her family in New York in 1953. She first met Lennon in 1966 at her own art exhibition in London, and they married in 1969. For their honeymoon, the couple invited the press to their Amsterdam hotel room, where they stayed in bed for a week. The same year they launched a massive ad campaign: war is over, the billboards proclaimed, from New York to Tokyo. 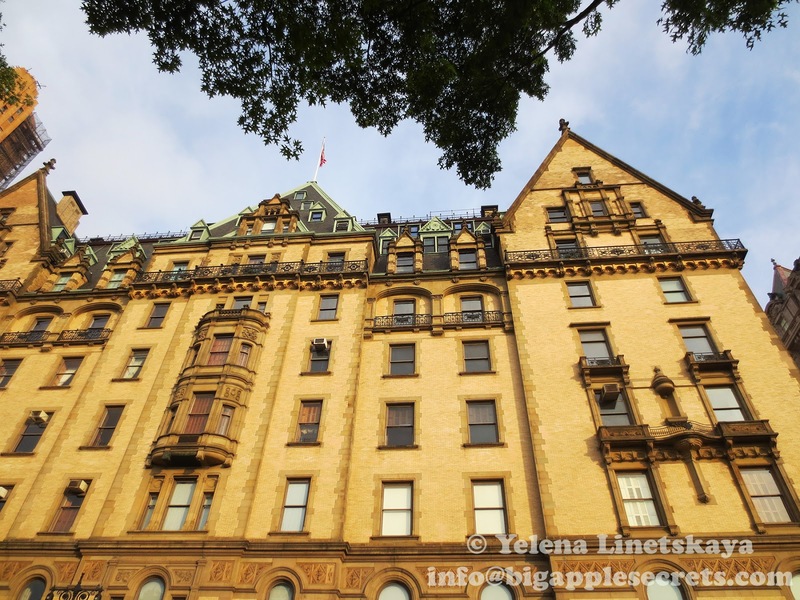 John Lennon’s and Yoko Ono’s life in the Dakota building , Upper West Side, began in 1973, when they were looking to move from their loft on Bank Street. I wrote about Dakota in one of my posts. John Lennon was shot and killed outside Dakota at night of Dec. 8, 1980. Lennon and Ono were returning from the recording studio to their home when 25-year-old crazed fan Mark David Chapman shot him at close range. Chapman was sentenced to 20 years to life for killing Lennon. 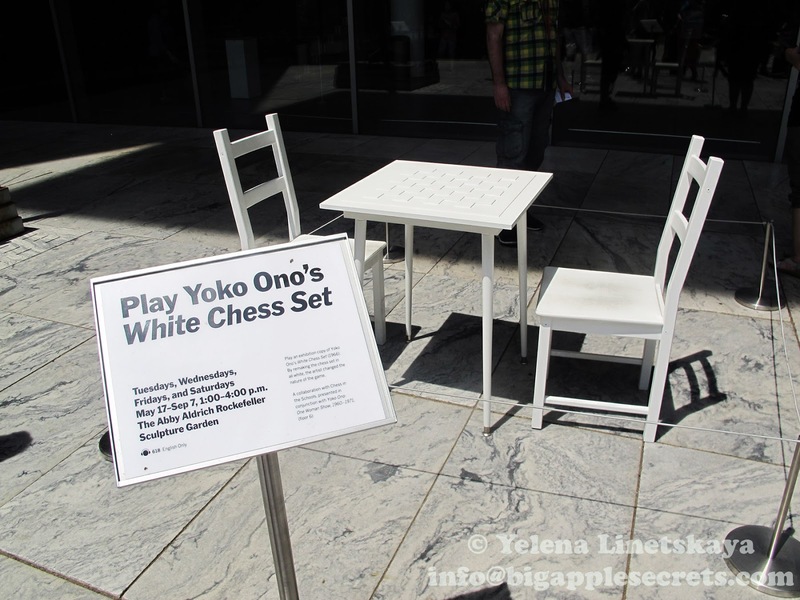 On December 8, 2006, the 26th anniversary of Lennon's death, Yoko Ono published a one-page advertisement in several newspapers saying that December 8 should be a "day of forgiveness," and that she was not yet sure if she was ready to forgive Chapman . 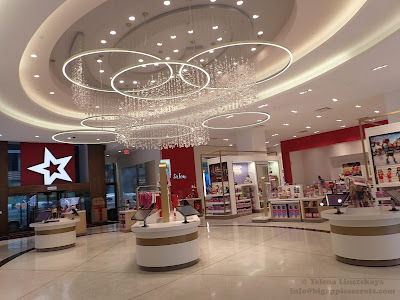 "I do feel that I am starting a new life at 80," she says, at one point, "a second life that will have so many things I didn't have in the first life. I don't know how long I am going to live, but my prediction is that we will have heaven on earth in 2050. When I tell people this, they say, 'Oh, but you won't be there,' and I say, 'Well, who knows?' " Yoko Ono still lives in the same apartment in the Dakota on the Upper West Side.